Can Rick Scott adjust to the U.S. Senate after leading Florida the past eight years? For the first time in much of his adult life, Scott is not the executive of a company or of a state. He is now one of 100. WASHINGTON — After the last eight years as Florida's governor, Rick Scott woke up Tuesday unemployed. But by 4:05 p.m. he had a new job: U.S. senator. Inside a mostly empty U.S. Senate chamber, Scott clutched a childhood Bible and took his oath of office. Vice President Mike Pence conducted the ceremony. "It's exciting to be up here," Scott told reporters just before he took the oath. "This place doesn't seem to be working very well." The unique affair was quintessential Scott. He joined a body defined by its traditions and collaborative spirit on a day of his choosing and by himself. The rest of his colleagues were seated last Thursday, as set by the U.S. Constitution. For a man who has flouted political norms and at times his own party, won three elections with his own money and governed like a solitary CEO, it was a telling if not symbolic message: Scott will yield to no one, not even one of the world's greatest deliberative bodies. "I've watched Gov. Scott operate and you can see the way his mind works in the form of a business plan," said state Sen. Tom Lee, R-Thonotosassa. "And he will develop a strategic plan to elevate and move through the ranks of the United States Senate and he will be very aggressive about it." For the first time in much of his adult life, Scott is not the executive of a company or of a state. He is now one of 100. 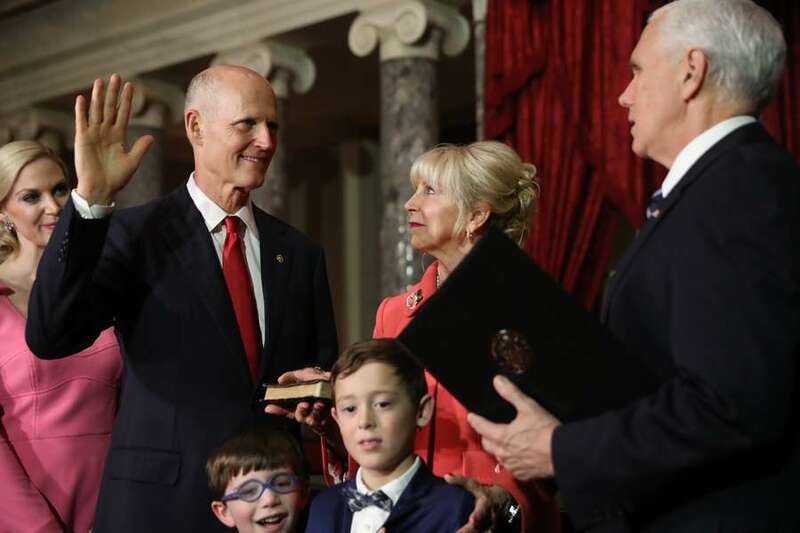 And because he chose to delay his swearing in until Florida's next governor took office, at age 66 he enters the Senate as its most junior member. Scott wouldn't be alone if he struggles with that adjustment. Many former governors have complained about the slow pace of Congress compared to daily demands of the executive office. They are vexed by the lack of control and the inability to solve problems with a command. But unlike some of his predecessors, Scott, a former healthcare executive, came to elected office late in life. He was a political novice when he launched his quixotic campaign for governor in 2010. Moving from a business background to government was already an adjustment, said Adam Hollingsworth, Scott's chief of staff in Tallahassee for three years. "I don't think he's any different of a person today than the day he announced his bid for governor in April 2010," Hollingsworth said. "But I do think he's very much more studied on the art of going through a political process to accomplish his goals." Lee suggested that Scott's vast wealth will help, too. It can quickly win him friends in Washington through political donations. His private plane will allow him to remain visible in Florida despite his commitments in Washington. Scott has spent about $150 million on his three successful elections in Florida, including $64 million to win the U.S. Senate seat. For his part, Scott has said he isn't coming to Washington to make friends or play the political game. He's here to "Make Washington work," as his slogan said. He ran on a menu of populist causes like forcing Congress to accept term limits, an unpopular idea among D.C. leadership. He has raised eyebrows, though, with the message he sent on Day One of his new job by hosting a black tie Sunshine Ball in Washington — on Day 19 of the federal shutdown. Donors are asked to contribute up to $100,000 as some federal employees struggle to get by without their pay. The disconnect recalled an episode from the campaign, when Scott, after bashing "career politicians" and special interests, attended a D.C. fundraiser held by an entrenched political firm and headlined by Senate Minority Leader Mitch McConnell. In the tunnels of the Senate, a reporter asked Scott about the fundraiser. He walked into an elevator and didn't answer. Scott's attempt to be the driver behind term limits was already overtaken due to his late arrival. Sen. Ted Cruz, R-Texas, filed a bill on the first day of the new Congress to limit Senators to 12 years and Representatives to six. It's unclear what other policy proposals Scott has in the works. He offered few insights during the campaign, instead focusing his message on "retiring" his Democratic rival and long-time Florida politician Bill Nelson. His committee assignments offer some clues: Scott will serve on the Armed Services Committee; Committee on Commerce, Science and Transportation; Committee on Homeland Security and Government Affairs; Committee on the Budget; and Special Committee on Aging. Fellow Florida Republican and former U.S. 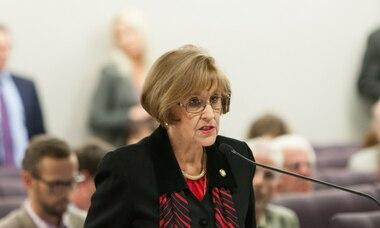 Senator George Lemieux said Scott is likely to remain locked in on the same priority that dominated his eight years in Tallahassee: jobs. Lemieux added that he expects Scott to leverage his relationship with President Donald Trump to advance Florida interests. "There's a big difference between having Nelson there and Scott," Lemieux said. "(Nelson) couldn't get anything done with this administration. So having another ally is only going to help." Florida's senior senator, Marco Rubio, attended the swearing-in, waving to Scott's wife, Ann, in the gallery and standing behind Scott as he took the oath. But there have been hints of tension between the state's two most prominent Republicans. During Scott's race, Rubio was noticeably absent from the campaign trail. At times he seemed to come to Nelson's aide, co-sponsoring bills and releasing statements together. 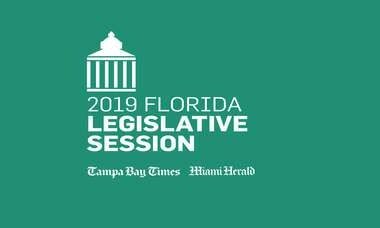 Scott has often brushed aside GOP collegiality, as he displayed this week by filling dozens of vacancies on Florida boards just before the clock expired on his term and Gov. Ron DeSantis — a fellow Republican — took over. Rubio has already acted on his presidential ambitions once and those close to Scott believe he, too, harbors hopes of running for the White House one day. Is there room in the U.S. Senate for two powerful, determined Florida Republicans? "Florida politics is a competitive, full contact sport," Lee said. "There's only so many seats at the table, there's a pecking order and everyone is aspiring to move up the ladder. "Gov. Scott, he's a hard-charging guy. He's going to be aggressive," Lee added. "Whether that creates a rub between him and Rubio, I would hope not. But at the end of the day, sometimes it's difficult to get collaboration and teamwork because too much of the focus tends to be on who gets the credit."